Our new bees are settling nicely into their new home at Brent Cross. After problems with vandalism meant moving the hive from its original location, which housed the first swarm of bees in 2013, the new location is proving to be a success. Since arriving in June, the nuke (technical term for a nucleus of 3-5 frames of bees that start a hive) has quickly grown to a full hive of 50,000 bees! Any nervous visitors to the centre need not worry as the site is located out of reach and sight of the building. 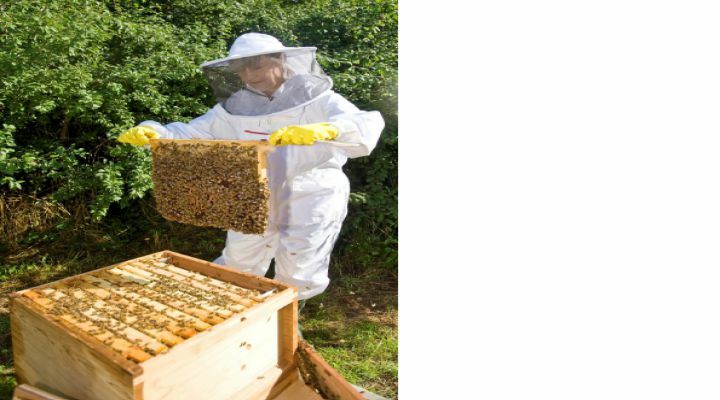 The bees continue to be cared for by Teresa Walden, the centre’s commercialisation manager and resident beekeeper along with the support of members of the Brent Cross team and North London Beekeepers Association. Since settling in to the new location, the bees have been busy producing 10lb of honey – an unexpected yield for the first year. The staff have had the privilege of enjoying the fruits of the bee’s labours so far and reports are it is delicious! The Brent Cross team would like to extend special thanks to Hatmet for sponsoring the bees.